The Standard Freefall A Licence course can be achieved within four good jumping days or you can take up to one year to complete your training. It just depends on you and the time you have available. Your Skydiving A Licence is internationally recognised and this will enable you to jump unassisted at Drop Zones all around the world. Once you have your Skydiving A Licence, you are welcome to join our Club for regular fun jumping, competitions or the latest skydiving discipline of introduction to wing suit flying. What is included in your training for a Standard Freefall A Licence? 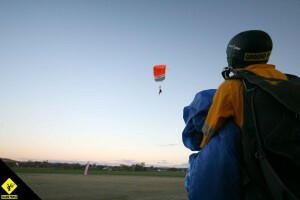 2 months membership to the APF (Australian Parachute Federation) – you need to be a member of the APF to jump! Price includes GST, all fees and surcharges. We look forward to making your Skydiving experience as enjoyable as possible.